There are several natural herbs and herbal remedies which can be used to treat diarrhea. 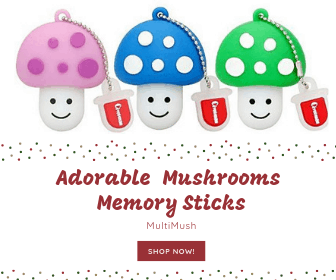 The herbs that are most effective usually contain one or more of three natural ingredients which are also found in most over the counter remedies. 1. Tannins are responsible for the astringent or bitter taste of many herbs. Astringents reduce intestinal inflammation. They bind to the protein layer of inflamed mucous membranes and thicken them. This slows the absorption of toxic materials and also slows the production of secretions. 2. Pectin is the primary active ingredient in the popular over the counter anti diarrhetic Kaopectate. Pectin is a soluble fiber that adds bulk to the stool and soothes intestinal distress. 3. Mucilage also soothes intestinal distress and adds bulk to the stool by absorbing water and swelling. 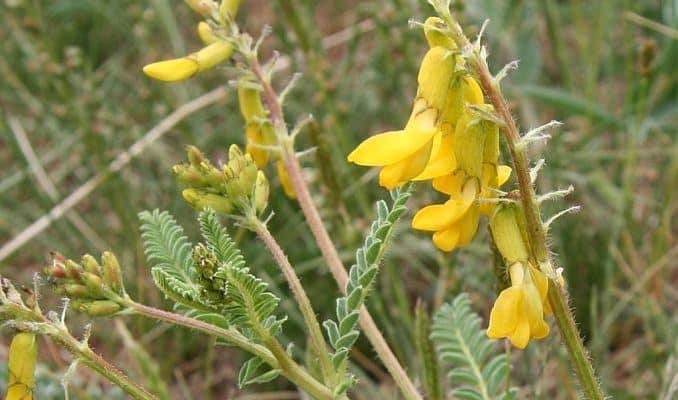 Because of the astragalus anti-viral and antibacterial properties, it is considered a good natural remedy for diarrhea. It contains polysaccharides which provide support for the immune system and stimulate the activity of phagocytes (white blood cells). It also raises the level of natural antibodies found in the bloodstream. This medicinal herb for diarrhea should be given only in low dosages. Higher doses can actually exacerbate diarrhea and cause flatulence in some people. As a bitter herb, it stimulates the digestive process. Picrorhiza stimulates the immune system including B and T cell activity and white blood cell activity. It can be used in the treatment of liver ailments and has antimalarial properties. Goldenseal has an intestinal antibiotic action and helps to reduce adhesive E.coli while it stimulates the immune system. One of the active ingredients in goldenseal is berberine. Berberine has been proven to increase the activity of macrophages which digest bacteria and viruses. Barberry also contains berberine, which has anti protozoic properties. Protozoic diseases which cause diarrhea include giardia, dysentery, candida and cholera vibrio. Both berberine and palmatine are active ingredients in barberry and have antibacterial properties. Another component of barberry is berbamine. Berberine and berbamine are alkaloids and strong antibacterials which are believed to increase the production of white blood cells and platelets. Echinacea is well-known as an immune stimulant. Its active ingredients are polysaccharides and alkamides, which stimulate the body’s immune responses. It also contains polyacetylenes which have antifungal, antibacterial and antiviral properties. Echinacea appears to interfere with the activity of the enzyme hyaluronidase. This enzyme breaks down the connective tissue and allows bacteria and other microbes to travel throughout the body. Agrimony has been used as an herbal remedy for treating diarrhea due to its high tannin content. Several clinical trials confirm this use and Commission E endorses agrimony for common diarrhea. Carob is very rich in tannins, which are astringent substances found in many plants, that have a binding effect on the mucous membranes of the intestinal tract. This makes its effectiveness high in adults with diarrhea, but even more so when used for children and infants experiencing diarrhea. The primary chemical constituents are largely sugars and tannins found in the carob pods. When the pods are consumed the gum-like stability acts as a thickening agent to aid the body in retaining water and fastening together watery stools. Psyllium is used as an herbal remedy for diarrhea and relieving constipation due to its high mucilage and fiber content. The husks of the seeds swell by absorbing water, thus adding bulk to stool. 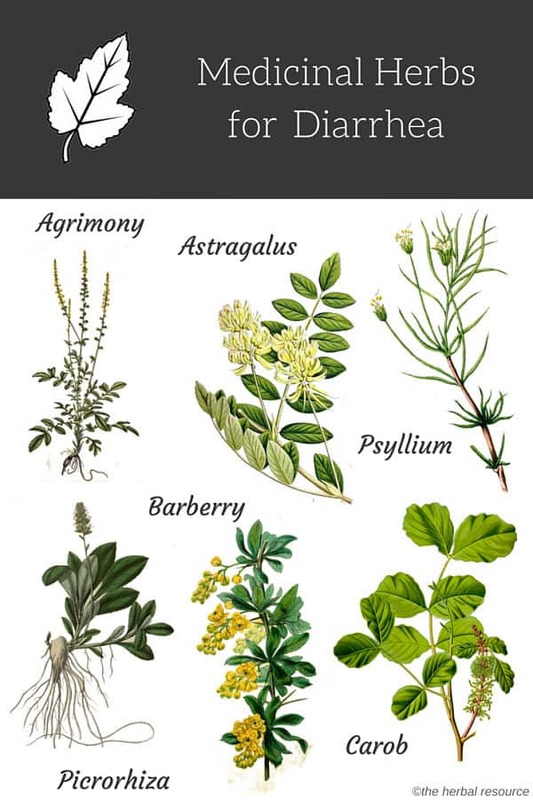 Other natural herbs that have been used for diarrhea. While these remedies do not have the same prophylactic qualities as a vaccine, they can give the body a better chance at remaining healthy. Simple effective measures that should always be taken, like washing hands often, not drinking from bottles whose seal has been broken and not eating raw foods that can’t be peeled before consumption, will reduce exposure to potentially harmful organisms. Travelers should avoid eating foods purchased from street vendors. Hydration salts should be included in a traveler’s first aid kit to combat the dehydration caused by diarrhea. A doctor or healthcare provider should be consulted before taking any herbal supplements for the treatment of diarrhea. It is always possible that the underlying cause of the diarrhea is of serious nature in which case, the use of herbal remedies might worsen the condition. Although diarrhea is not harmful by nature, it is vital to seek medical attention if it is experienced for more than 5 days, or accompanied by abdominal or rectal pain, blood in stool, signs of dehydration or a high fever.